This is a non-standard model that Mike makes exclusively for ZEPP Country Music, and is available on special order. 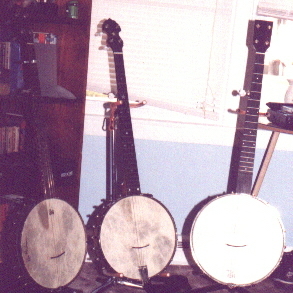 Mike had built a prototypical copy of a very simple and plain banjo, hence the moniker he used for it. 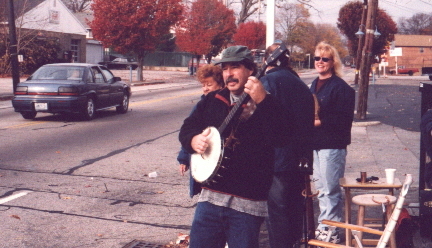 When it was first offered for sale, it was an immediate hit, and Mike Ramsey has since made several of them for sale through Zepp's shop.It has a peghead patterned after the headstock of a Martin tenor guitar, a one-piece, dark-stained maple neck with a frailing notch, and the black painted, 12-inch pot of his "Standard" model, with small, abalone position markers.It also has a No-Knot tail piece and a Remo Fiberskyn head. Simple, yes. 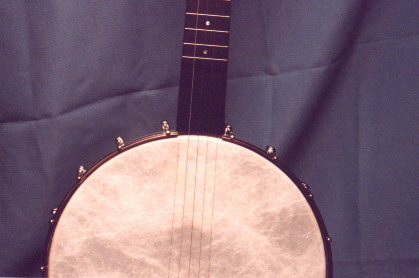 Plain, yes, but a truly great-sounding banjo. 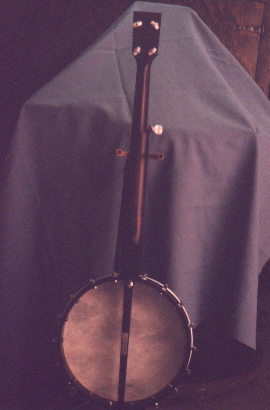 Here is a shot of the back of the banjo. 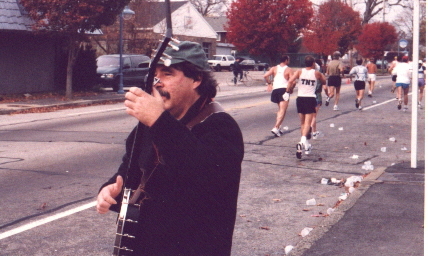 Last but not least, is a picture of me with my new Amish playing for the runners at the Ocean State Marathon. My first paying gig! !